We will be closed for the summer holidays from 11 August 2012 to 19th August 2012. We had good opptunity to introduce our products, Bio-Normalizer. The Bio-Normalizer Nutraceutical Corporation (Santo Tomas City, Bataan Province, Republic of the Philippines), a member of the enterprise group Sun-O International, Inc.(Main Office: Gifu City, President and Representative Director: Maeda Kenji) is issuing a notice that on September 23rd, 2011, as a part of its activities to further strengthen its food safety monitoring system, acquired a certification mark in accordance with the international food safety standards management system ISO22000, the HACCP (Hazard Analysis and Critical Control Points), and the GMP (Good Manufacturing Practices). Although our company has labored as a pioneer enterprise of papaya fermented foods in order to ensure our customer’s satisfaction, safety, and peace of mind, going forward we will provide products even more capable of receiving the trust of our customers with regards to food safety, in accordance with the structures of GMP, HACCP, and ISO22000. The ISO22000 is an international standard regulating the required items of “management systems” for “food safety” with, as its object, all of the enterprises in the food chain. This is not only a standard for factory sanitation; rather, from the farm to the kitchen table (the so-called, “Farm to Fork”), this is a system which monitors all of the people associated with a food product, (from the managers of all related organizations or businesses, to office workers and part-time workers) from the supplying of its basic ingredients all of the way to its consumption. The HACCP is a sanitation management technique which analyzes beforehand the harm of microorganism pollution capable of occurring at all levels of the production and manufacturing process of food products (Hazard Analysis) , which fixes, based on these results, countermeasures to be established at certain levels of the production and manufacturing process for the improvement of product safety (Critical Control Point), and which continually monitors these countermeasures to guarantee safety. In Japan, the Comprehensive Sanitation Management and Production Process, a food production process incorporating this HACCP technique, was constructed in 1996 as an approval system for the Minister of Health, Labor and Welfare, in response to the voluntary petition of business owners to improve the food sanitation law. ※The HACCP is a food management technique designed in the United States the 1960s in order to certify to a high degree the safety of space food consumed in America’s space program. The GMP is an acronym for Good Manufacturing Practice. As a means of certifying the quality and safety of, among others, drugs, pharmaceutical products, and food, the GMP is a clear standard for factory production installations (hard) and quality/production management (soft) which employers must follow. Production facility buildings and building sites, machinery installation,facilities, material safekeeping and ventilation, production and the manufacturing process, quality management, manufacturing process management, packaging, final product quality investigation and safekeeping, employee sanitation management, all fall under the GMP. These all are standardized, and are required to fulfill its criteria. 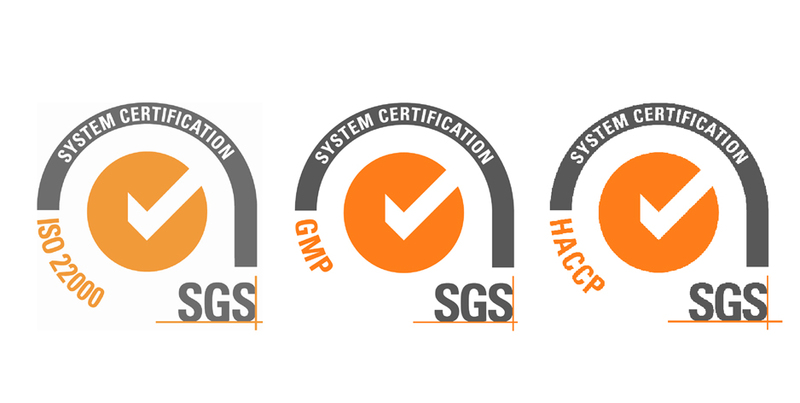 The SGS is the third party authentication mechanism of non-profit organizations, internationally recognized in the field of public health and safety. 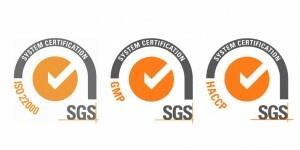 The SGS certification mark is known in many industry circles around the world. Because of the obtention of this mark, the market preponderance and social trust of bio normalizer was assured. Bio-Normalizer does not contain iodine. The society sees that iodine, iodine-containing food and health food have been attracting a great deal of attention due to effect of the nuclear accident in Fukushima Daiichi Nuclear Power Plant.Ministry of Health, Labor and Welfare alerts people to “Don’t take disinfectant containing iodine” by their web site. Also, National Institute Of Radiological Sciences states that “Seaweed products such as kelp contain iodine but are not effective. We expect that most of questioner asked us whether Bio-Nomalizer contains iodine concerned about our humane mission for nuclear meltdown at Chernobyl in 1995. This humane mission was not conducted immediately after the accident. Chernobyl nuclear reactor accident occurred on 1986, after 9 years later this humane mission conducted in 1995.
WHO (World Health Organization) related to Chernobyl nuclear reactor accident and around 700 cases of thyroid cancer have developed among children and young people in 1995.It took long time of 9 years. As you know, Iodine-131 as radio active ingredient disperses into the atmosphere when the accident occurred at a nuclear power plant. When radioactive iodine which released into the air is drawn into the body and it accumulates in thyroid instead of normal iodine (nonradioactive iodine). Iodine-131 keeps releasing radiation and generates a lot of free radical (active oxygen) in the body. Then, it produces varies of injurious effect such as hypothyroidism, goiter and thyroid cancer. There, prescribing a iodine preparation in advance to be based on the idea that if a person take nonradioactive iodine in advance, radioactive iodine (iodine-131) will be take in thyroid and can be prevented a radiation damage.It is important that taking iodine in advance if danger could be apparent because it has only a small effect though it is taken after exposed. Also, even it is unable to prevent the accumulation of radioactive substance how much you take iodine in advance. Iodine cannot be expected to have effective method preventing the radiation effect, if a person be exposed to radiation such as alpha ray, beta ray, gamma ray and neutron ray. Now, get back to talking about our humane mission for nuclear meltdown at Chernobyl. Bio-Normalizer　to conducted to the patient in the national cancer hospital in Ukraine and the leukemia patient in the Russian state university medical hospital in Moscow was to deleted the free radical (active oxygen) generate from the radiation material, accumulated in the inside of the body for years. The mission is conducted for varies of injurious effect such as hypothyroidism, goiter and thyroid cancer, a free radical (active oxygen) bring on the body. Bio-Normalizer let a free radical delete strongly, so it could be possible to reduce effect of radiation. *Bio-Normalizer is Health food Supplement derived from green papaya, not medicine. Fukushima prefecture asked famers in all around the prefecture to discourage shipment of raw milk of caw and leaf vegetables due to the effect of radiation.This news is distributed to the overseas and it seems to be concerned about radioactive contamination. South Korea, Hong Kong, Singapore, the Philippines and Malaysia will follow suit now to test Japanese food imports for radiation. 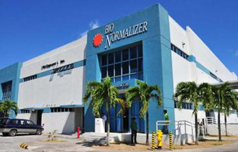 And we already had an inquiry from Malaysia about the check whether Bio-Normalizer is being affected. Fukushima Daiichi Nuclear Power Plant is about 600 kilometers away from us, Sun-O International, Inc. Gifu. Also, Bio-Normalizer is now being stored in warehouse of head office with strict temperature control therefore our products have no effect of radiation. Also, the green papaya as raw material of Bio-Normalizer is cultivated in Philippines. You can rest assured of our quality. We received numerous inquiries about exposure medical care from people who worried about their health effect by radiation exposure due to the nuclear accident in Fukushima. However, we are unable to answer specified effect-efficacy, therefore Bio-Normalizer is not medicine.For further information, we are proceeding with the preparations for documents and academic papers that our humane mission for nuclear meltdown at Chernobyl in 1995. Also, as for exposure medical care, please go to the below referenced wed link. For sufferer especially people who have children. We would like to express our hearty sympathy with all suffers. We are thinking of all suffers and praying for them this time of loss. Also, we would like to express our hearty sympathy with them.